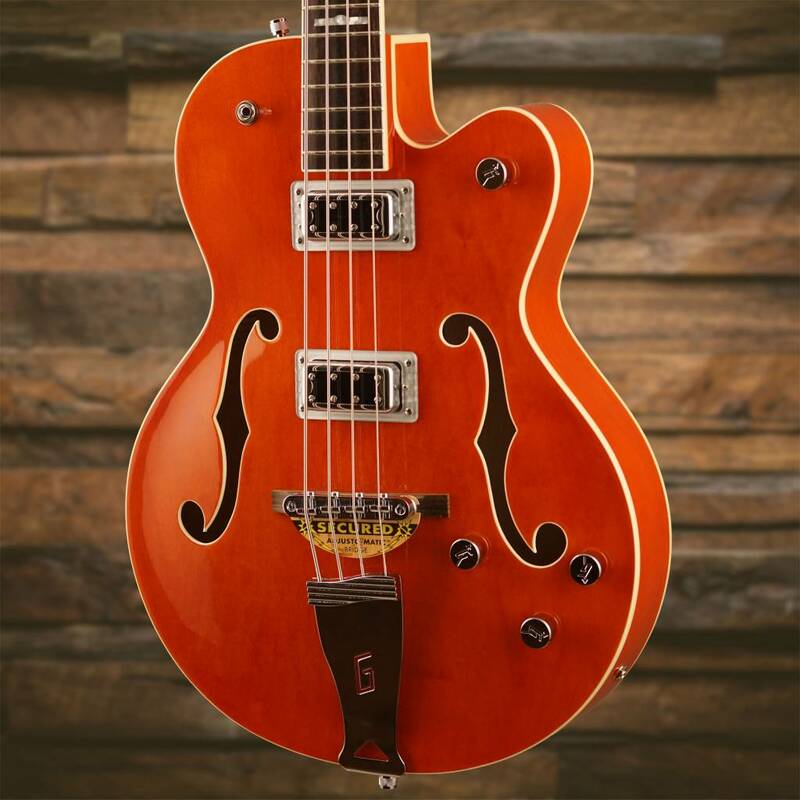 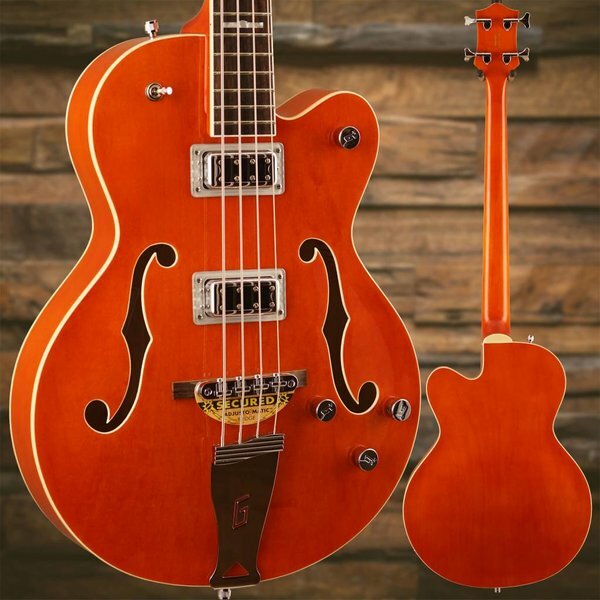 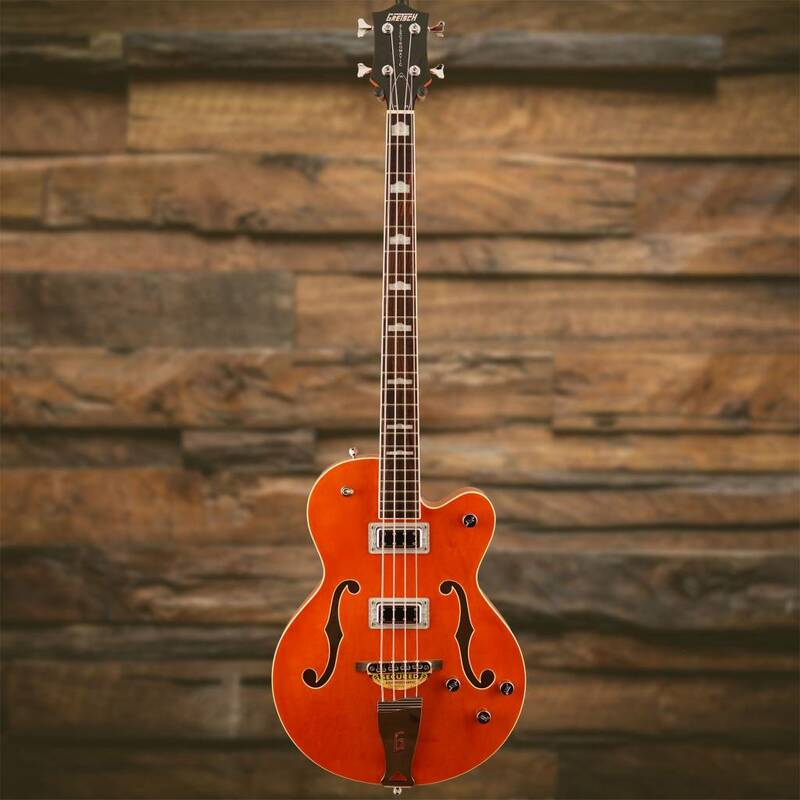 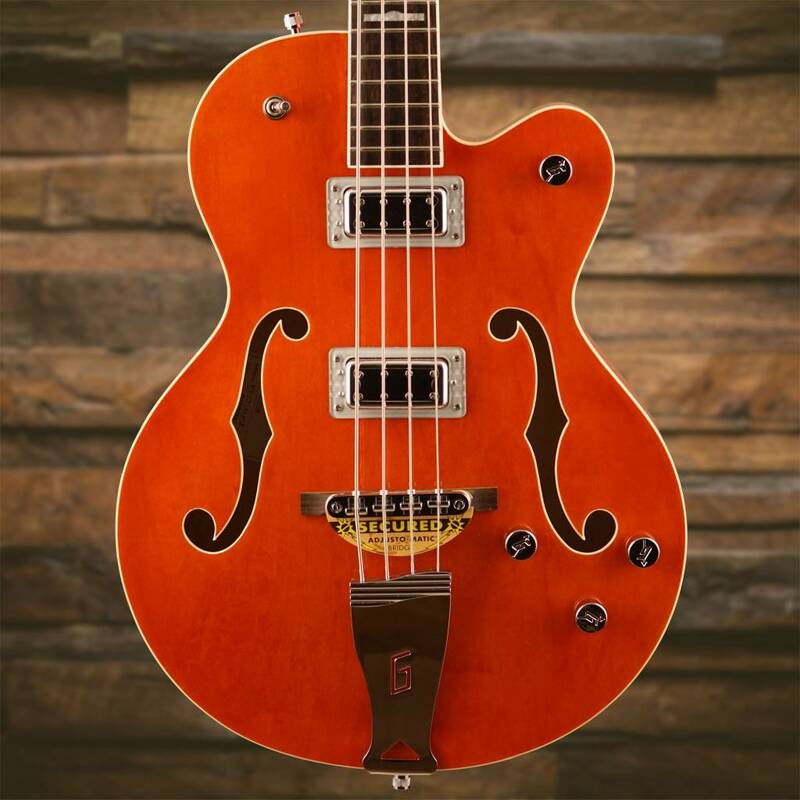 The G5440LS Electromatic Hollow Body Long-Scale Bass is a stylishly seismic new Gretsch bass guitar armed with two powerful new "Black Top" Filter'Tron humbucking bass pickups that endow it with an electrifying deep-end voice and identity. 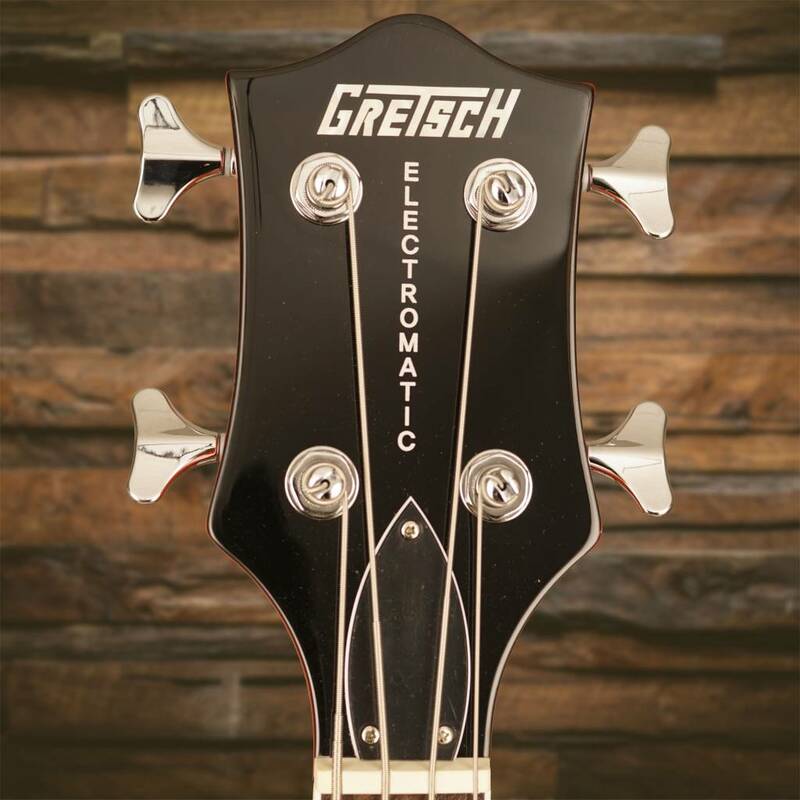 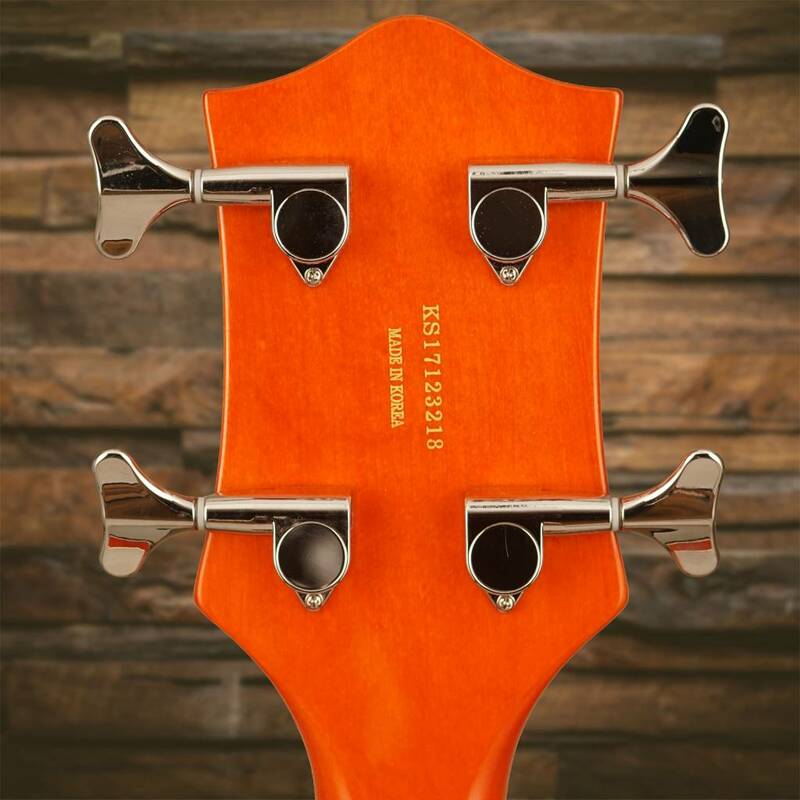 Its single-cutaway hollow and bound body resonates with full bass tone and balance, and features sound-post bracing and elegant bound f holes. 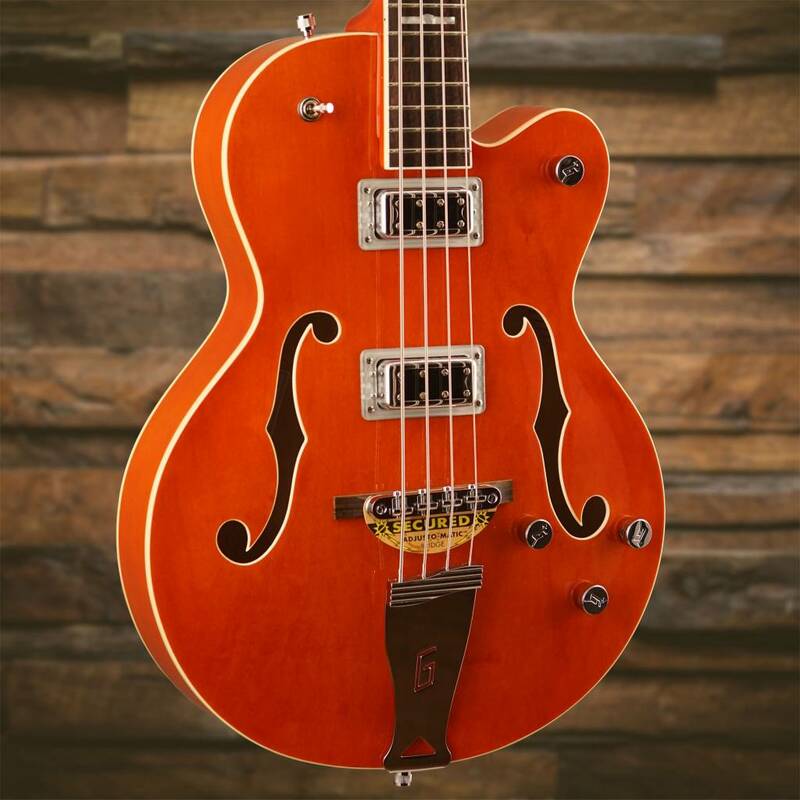 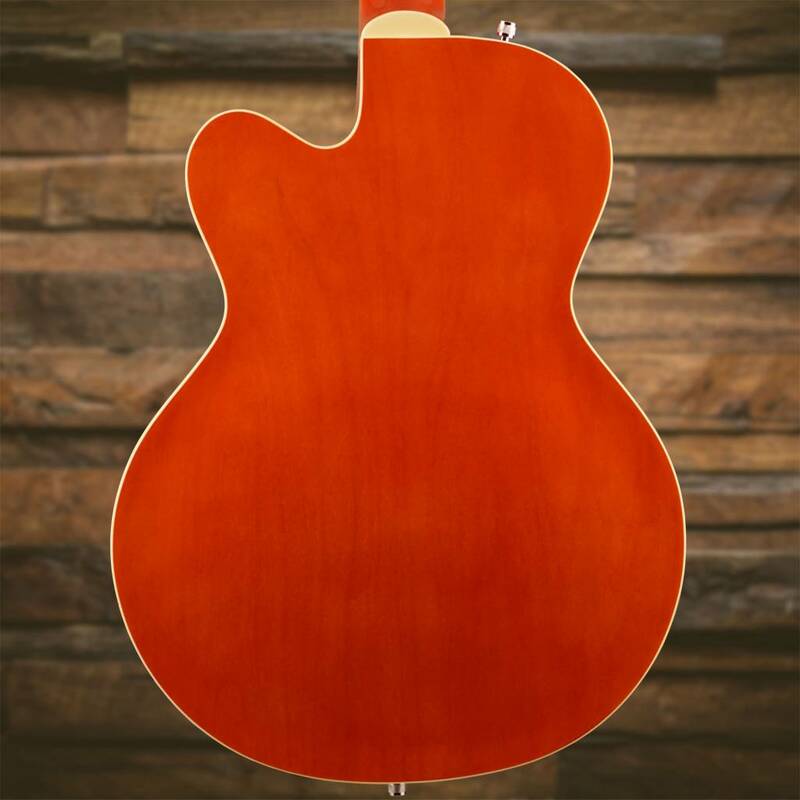 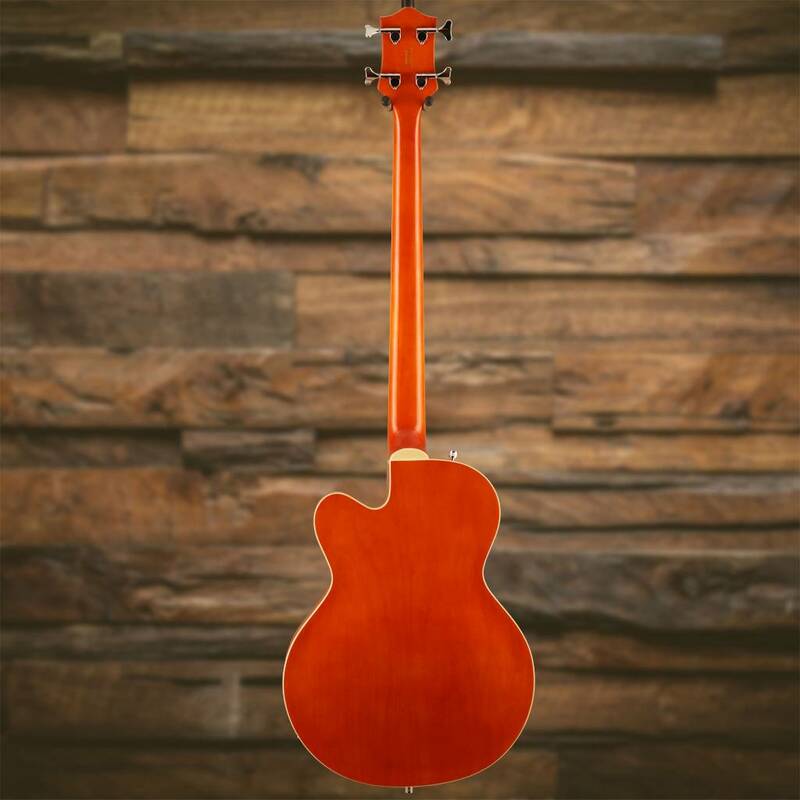 Other features include a maple neck, bound rosewood fingerboard with 22 medium jumbo frets and hump-block pearloid inlays, three-position pickup switch, classic "G" arrow control knobs, rosewood-based four-saddle Adjusto-Matic bridge and "G"-cutout tailpiece.